You love to ski, but traveling with all that gear is a pain. You have a bag for your skis, but what about those boots? They are awkward and bulky, and always in the way. You aren’t alone, every year over 9 million skiers face this dilemma each year. You don’t have to struggle anymore. Finding the best ski boot bag can get your gear organized. Most ski and snowboard bags will carry more than your boots, so you can streamline the amount of stuff you have to lug around. Use our guide to find the right ski boot bag for your next trip. As you read through our list of the top ten boot bags keep in mind what features are most important you. Think about the size, capacity, storage, and comfort of each bag. This is the best all-around bag for traveling with your boots. This is a handbag style of bag with handles and one long carry strap. The bottom compartment holds your boots while the upper one can hold all your gear. The boot compartment is lined with a tarp so you can use it as a changing mat. This bag has the unique trapezoid shape you will recognize as a bag holding boots. The boot compartment is top loading with grommets on the bottom for drainage. Your other gear each has their own space. There’s an exterior helmet sling, soft pocket for your goggles, and an extra exterior pocket. You have detachable shoulder and waist straps for easy carrying. The only thing you need to do is choose from 5 trim colors. This trapezoidal bag is 400 denier and 840 denier nylon. You must gate check this bag though as it is large and most likely won’t fit in the overhead. The shoulder straps and handle have contouring and padding to make them as comfortable as possible. Inside you’ll find a large boot compartment with top access. There are also mesh pockets to keep your other gear organized. If you are looking for more than a boot bag, the Sportsbag is the way to go. This style of bag is more of a backpack for your gear with straps for your boots. Thanks to the outside storage design you can carry any size boots. With the boots on the outside, you have the entire bag to pack all of your gear and essentials. There is no protection for your boots if you want to check your bag. However, the bag’s material is durable at 900 denier polyester. Transpack makes the best ski boot bag for kids and families. Their bags come in all sizes so you can get a bag for everyone in the family. Each bag has the same setup and style of compartments making it easy to use one system of organization for everyone. The bags are also big enough to hold everyone’s gear so you cut down on the number of bags your family has to carry. If you are someone who likes pockets then you will love this bag. There are 6 exterior pockets including an expanding pouch for that helmet you just bought. You will have open access to the inside boot compartment with the clamshell design. Plus you have smaller internal pockets that are perfect for your tablet, water bottle, and other small items. If you don’t pack your helmet, this bag will pass carryon limits for airlines. With the helmet, it will be too big. This bag will give you the ultimate protection for your gear. Each boot has its own individual compartment. Construction of the bag is rock solid with 1680 denier ballistic nylon. To top it all off you have your choice of bold colors so your bag is easy to find and identify. If you like more of a backpack look then you will love the styling of this bag. You won’t be able to check this bag, but it will pass carryon standards no problem. It has a sleek design with plenty of exterior pockets for storage of small items. Dakine is also known for producing products that have unique colors and patterns. 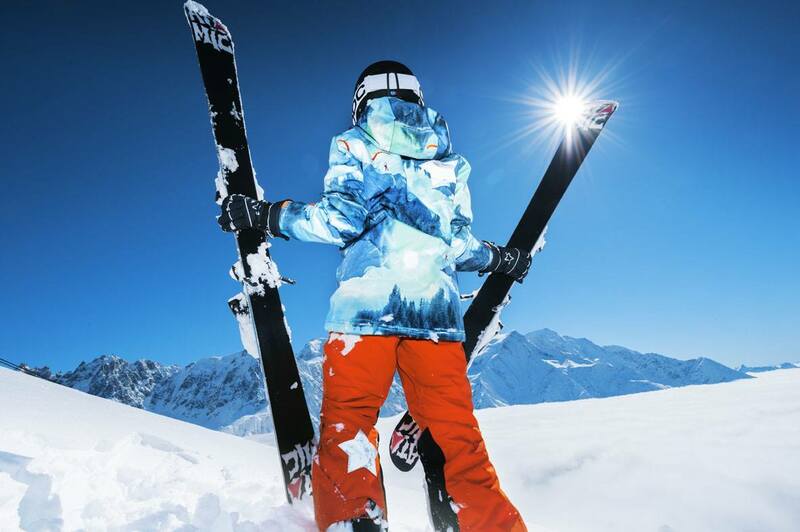 That sleek design doesn’t restrict your ability to pack your ski pants, goggles, and clothes. You may have trouble fitting your boots if they’re especially large though. Athalon has the best heated ski boot bag. It’s designed to work with both household plugs and your car’s 12V plug. The durable nylon fabric protects your boots while the wrap-around heating system keeps them warm. You have your choice of three heat settings. Metal grommets on the bottom aid in drainage to help dry your gear. The unheated exterior pockets on the side and front provide extra storage. Padded adjustable straps make the bag comfortable to carry. When you are not carrying the bag, you can tuck them out of the way. The best ski boot bag for you may be an isosceles shaped bag. There are two boot compartments that point towards each other. Exterior mesh pockets can hold the rest of your gear. There is also a flap on the top to cover the main middle compartment that is big enough to hold your helmet. The construction is a solid 600 denier water-resistant polyester. You also have the choice of 11 different colors so you can easily spot your bag. There are three types of styles you will find when it comes to boot bags. To weight the pros and cons, consider how many other items besides your boots you want to carry. These bags store each boot in a separate compartment to prevent them from banging together. It also keeps your boots away from your other items. This is good if your boots are wet so your other stuff doesn’t get wet and gross. You’ll also find this style makes it easy to access the compartments to find your items. This design creates two main compartments. One for your stuff and one for your boots. Your boots will usually be together in one compartment. You will find that there is a lot of room in the other compartment for your stuff. The bags that look a lot like a backpack will have internal dividers. The dividers will separate your stuff, but not isolate it. You may find this style of bag is limiting when it comes to packing your extra items. This could be from lack of space or protection. You’ll want to look for bags that have external pockets to help keep you organized. You should look at a bag’s capacity, storage options, and construction. Most importantly, make sure the bag is comfortable to carry. Ski boot bags will vary widely in the amount of extra space they have. You need to decide beforehand what other items you intend to carry in your bag. Most people want space for the essentials like their helmet, goggles, and gloves. You may want to hold more though, including a ski jacket, pants, clothes, and thermal underwear. Once you know what you want to put in the bag, you can look at how you want to store those items. Some bags will have one large separate compartment. Other bags will put your boots and everything into one space with dividers. While a third one will have mesh pockets on the outside of the bag. When considering these options, think about what items you want to store and how they fit in these pockets. 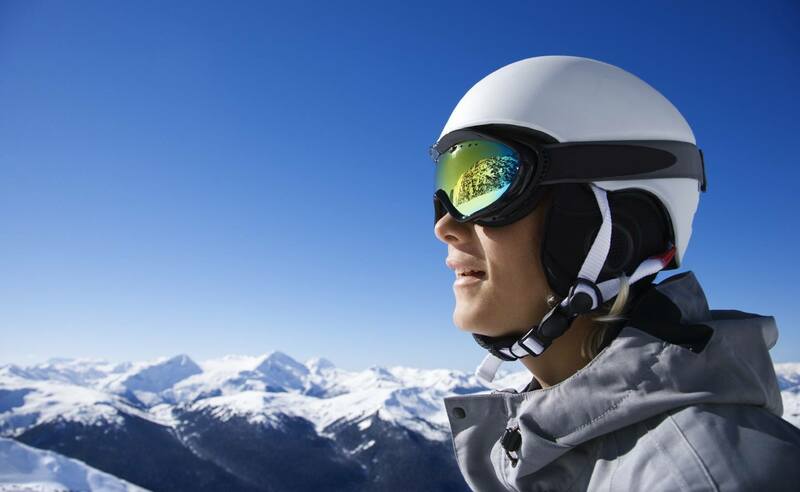 Do you want protection for more delicate items such as your snow sunglasses? If you are planning on checking the bag you may not want mesh pockets on the outside. You also need to consider how you like to stay organized. Do you want everything in one space or divided out? Look for a bag that is made of strong materials that will withstand travel. Most bags are a polyester or nylon material. You will see construction described as a denier rating of the material. This tells you the weight and strength of the fabric. A 600 denier nylon is a standard backpack weight. You should look for something heavier for your boot bag like a 1050 denier. Look at the backing of the nylon. This will make a huge difference in the bag’s durability. Do not forget to consider the comfort factor of the bag. You are buying this bag to carry your gear, so it needs to make your life easier. Look at the straps for their shape, style, length, and padding. Look at where the bag sits on your back or shoulder to make sure it fits you. If you plan on flying with your bag you need to decide if you want to carry it on the plane or check it. If you carry the bag onto the plane you need to check the dimensions. Some bags will not fit in the overhead bin. If you plan on checking your boot bag you need to make sure it will pass restrictions and protect your gear. Some bags are not sturdy enough. Others bags have shoulder straps that must get secured or removed.